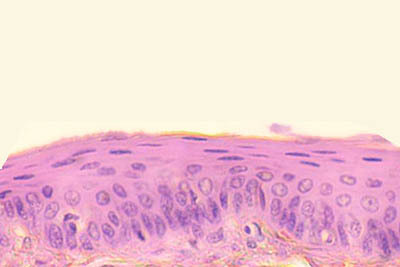 This histology slide shows stratified squamous epithelium. The cells are several layers thick, so it is stratified. The cells in the most superficial layer are flat. The nuclei in the most superficial layer are also flat.